For your personal, business, and vehicle storage needs, Bahia Storage has a solution that’s right for you— from compact storage lockers, to spacious enclosed units measuring up to 12 ft x 20 ft. We can even park the largest of RVs and boats. 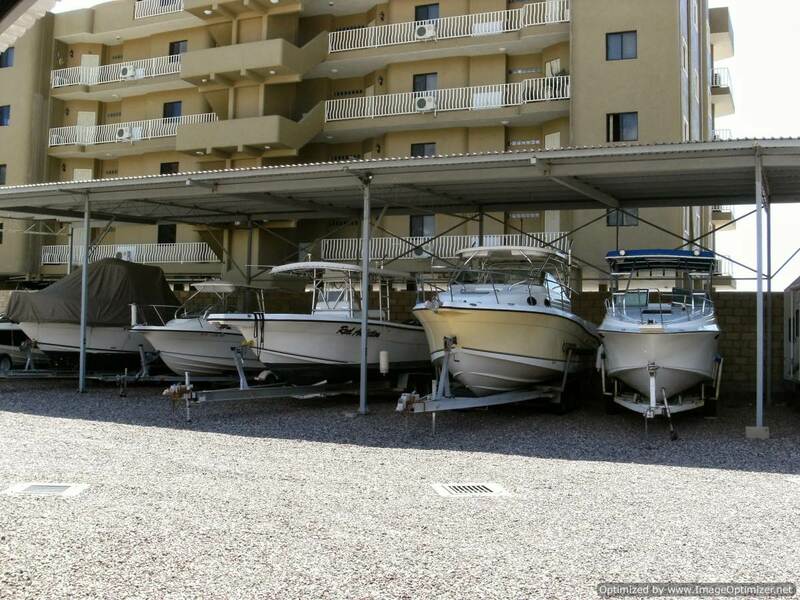 Conveniently located in Sector Bahia right in between Marina San Carlos and Marina Real, our location is ideal for easy pick-up and drop-offs of your boat. 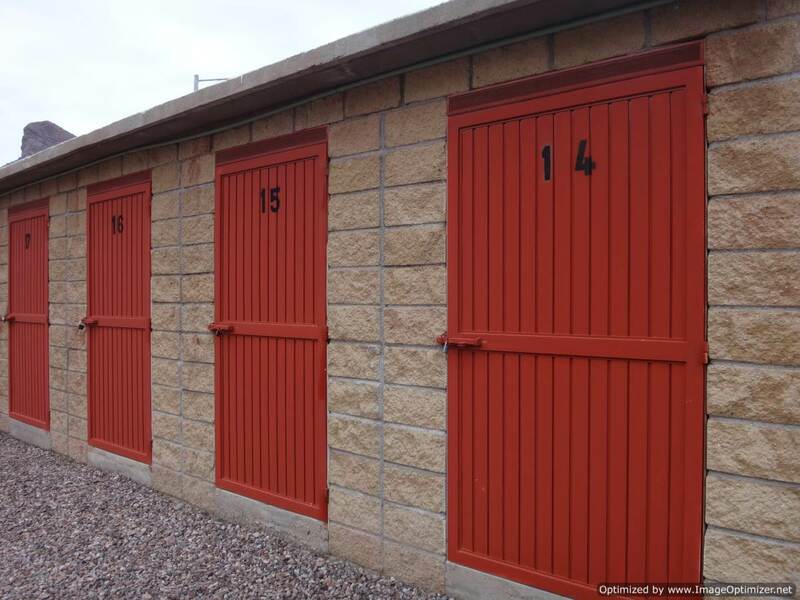 With a wide range of self storage lockers to choose from, Bahia Storage will be able to meet your requirements. Our unit ceilings are 8 feet high, and we can show you different sized units and help you determine which storage solutions best fit your needs. 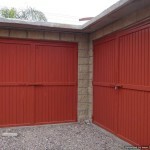 Sizes range from 6 x 10 feet to 12 x 20 feet. Click here for more details and information, or visit our office to discuss your needs and to see the different size options. 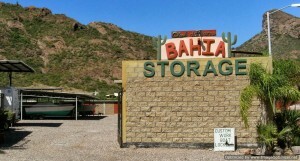 Whether you are moving or simply need extra space, Bahia Storage is your solution for self storage in San Carlos. 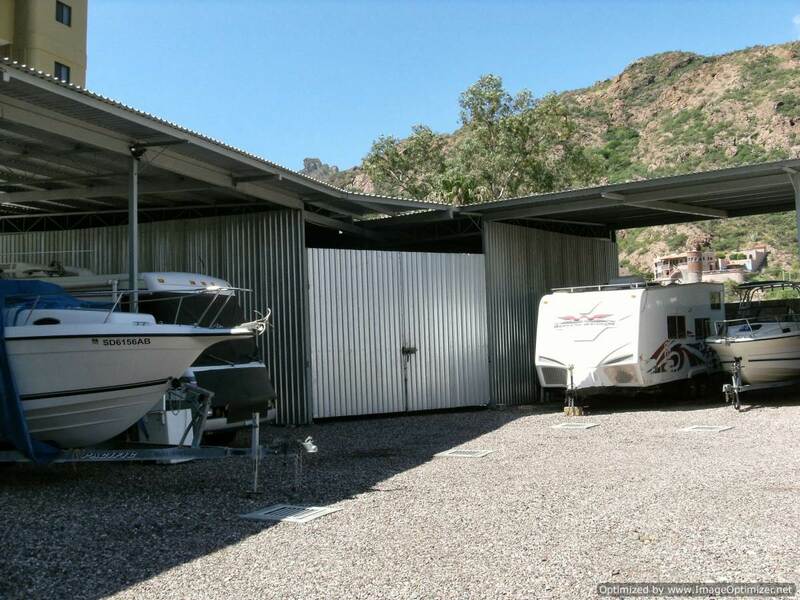 Year-round sunny weather allows for endless recreation, but deed-restricted communities and the lack of quality storage facilities in the San Carlos area leave us with the challenge of finding reliable and secure storage for recreational vehicles, boats, cars and personal watercrafts. We at Bahia Storage realize that you would rather be on the water or on the road– but when it comes to protecting your investment, you need a facility that is committed to providing the highest level of security, customer service, flexibility, and peace of mind to its customers. 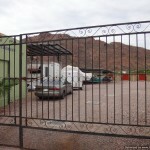 We have a wide variety of secure outside parking options. 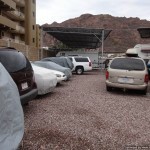 We offer outdoor parking spaces that can accommodate any car, truck, van, trailer, RV or boat. Our parking area is level, super clean, with gravel throughout. We have water and electricity available for your use. There is an extensive drainage system for bad weather. 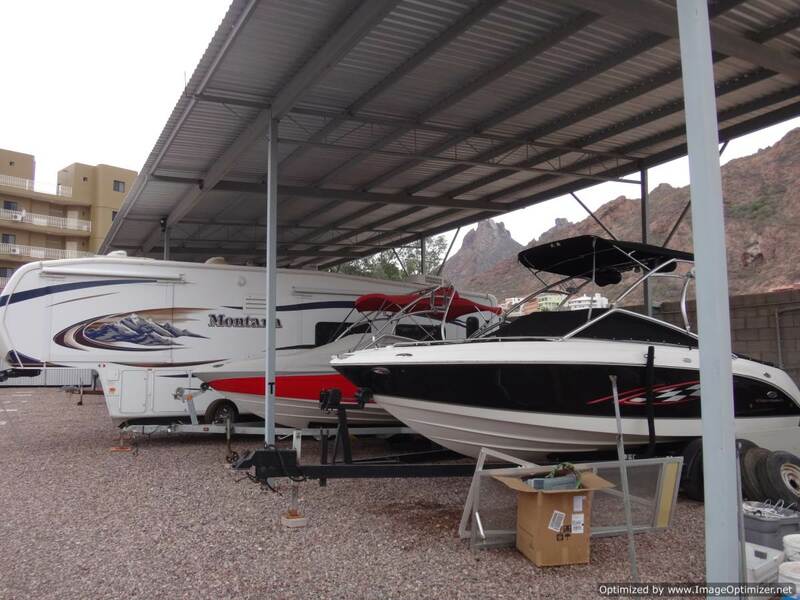 Our wide driveways will make storing your RV, boat or motor vehicle a breeze! 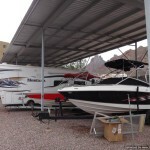 We also offer Covered storage space to keep your car, RV, kayak, or boat safe. Covered shaded storage maintains the beauty and increases the longevity of your vehicle for years to come. 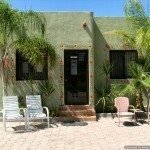 Strong Mexican sun, wind, dirt, and hurricanes can damage the exterior and interior of your vehicle. 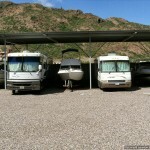 National studies show that the increase in damage from UV rays, in the past 10 years especially, is a cause of major problems with RV’s, boats and vehicles stored without shade cover. 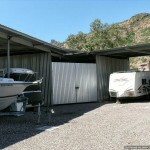 If you are looking for a covered storage for your RV, boat, bus or automobile, consider this option. 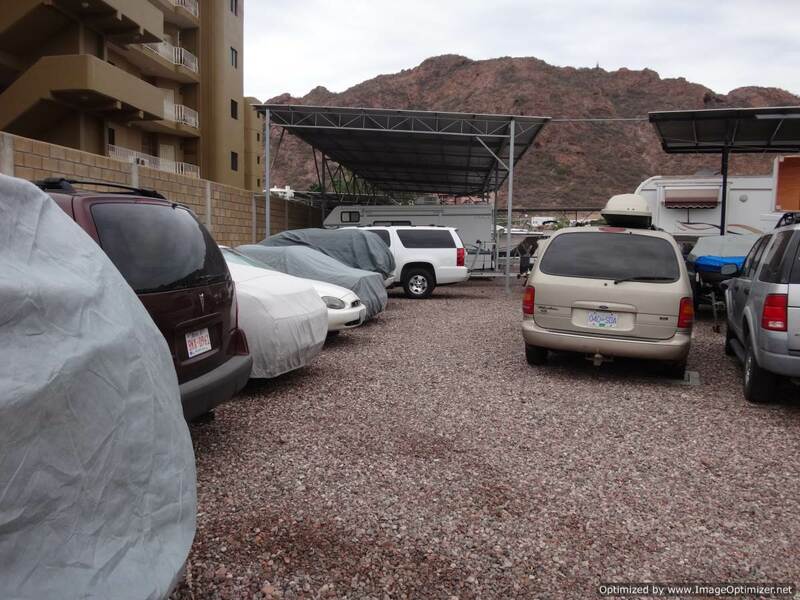 Our covered storage is affordable and a secure way to keep your big recreational vehicles protected from the desert and salt air elements. Custom-built storage is also available upon request. Contact us for more information. If security is a concern of yours, let us put your mind at ease. 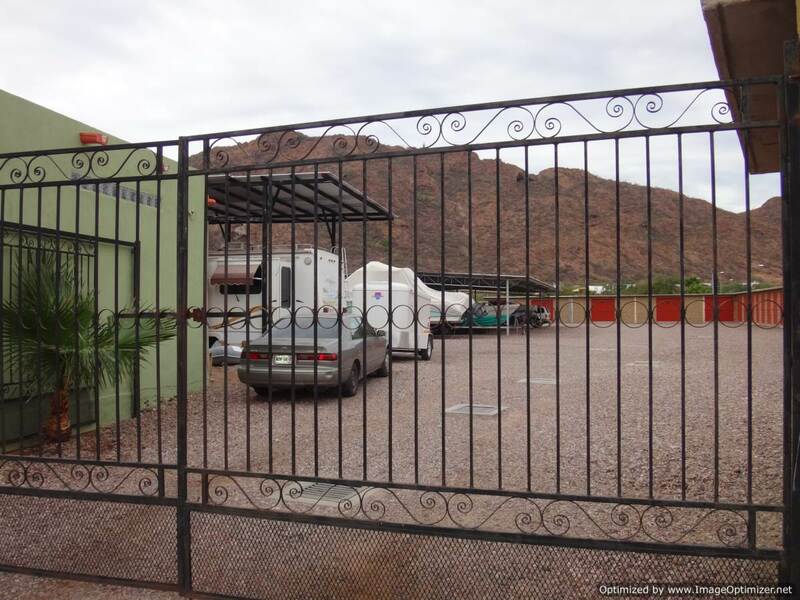 Our facility is completely fenced and well-lit at night, with on-site security 24/7. In & Out Boat Services: We want our boating clients to get on the water quickly and easily. With our affordable in & out boat towing service, we’ll hitch up your trailer and boat to our truck, take it to the marina of your choice, and get it in the water. Then when you’re ready for the boat to come out, we’ll do this for you too, and bring it back to Bahia Storage. Call us for details and price. Towing: Stuck in the sand and can’t get your car or truck out? Don’t let it ruin your day. Give us a call and we will come and get you out of the sand. Call us for details and price. 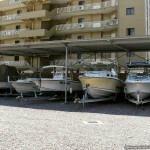 On-site Boat Mechanic: Need something fixed on your boat – mechanical or electrical, we have an experienced boat mechanic on-site and available to help with your boating needs. 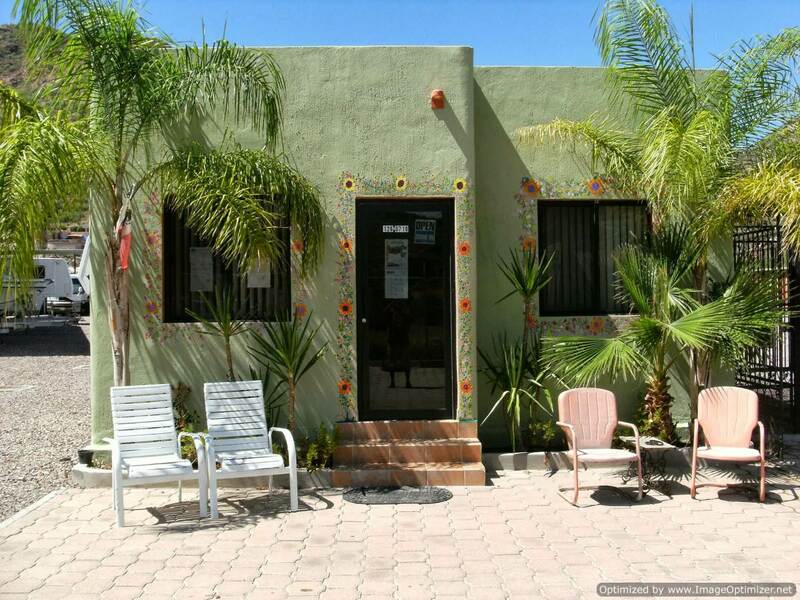 He can also take care of vehicle and/or RV needs, including servicing, paint, oil change, or general repair. Please feel free to call, e-mail us or come in and see us if you have any special needs. 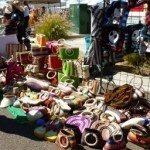 Consignment Sales: Want to sell your car, motorcycle, 5th wheel, RV, etc? Let us know and we’ll be happy to sell your items on consignment. 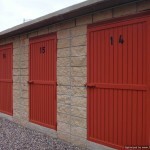 Bahia Storage was completed in 2010, and totals more than 4500 rentable square meters of real estate. 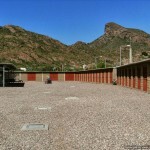 There is extensive drainage for bad weather and the lot is super clean with gravel throughout. 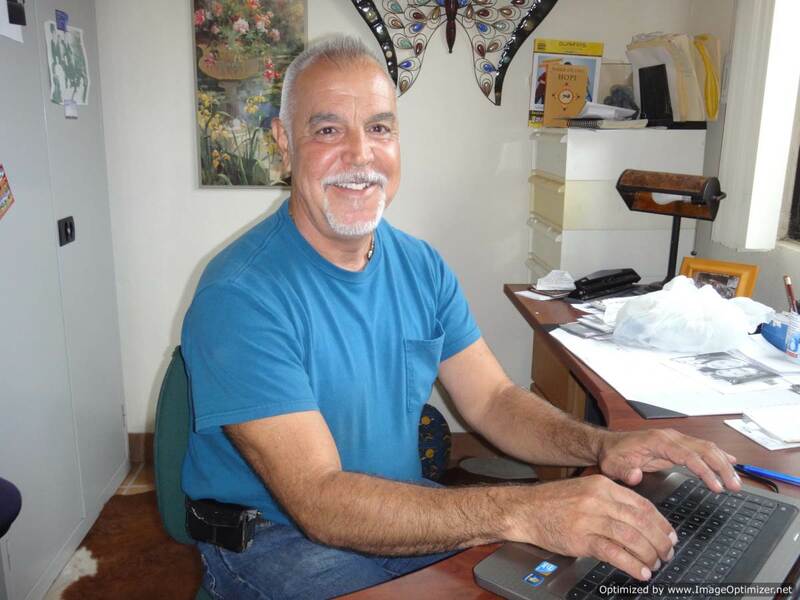 Owner Paulo Delgado is a proud member of the San Carlos community and is a very active member of Castaway Kids and the SBPA. 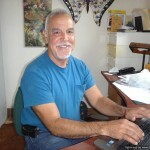 Paulo and his team are on site daily, and will help you to select the perfect unit. If you require access outside of business hours, just call us and we’ll make arrangements to make it possible. Click here for our current price list, or visit our office to discuss your needs and to see the different size options. We offer a wide range of spaces (covered and uncovered) to best suit your needs. 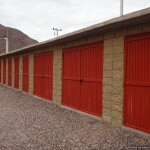 Self-storage locker units range from 6 x 10 feet (1.83 x 3.05 mts) to 12 x 20 feet (3.66 x 6.10 mts). Our month-to-month rentals make it convenient and easy to store your RV, boat, automobile or motorcycle for wavering periods of time, so you can set out on the open road whenever you please. Payment can be made by check, cash, or Paypal. Prepay for 1 year, and get 1 month free! 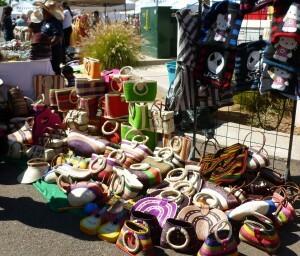 Every month, we host a Community Flea Market. Proceeds support students in the community. Please keep an eye on the What’s Up San Carlos newsletter for our upcoming events or Contact Us. San Carlos’ best storage choice! 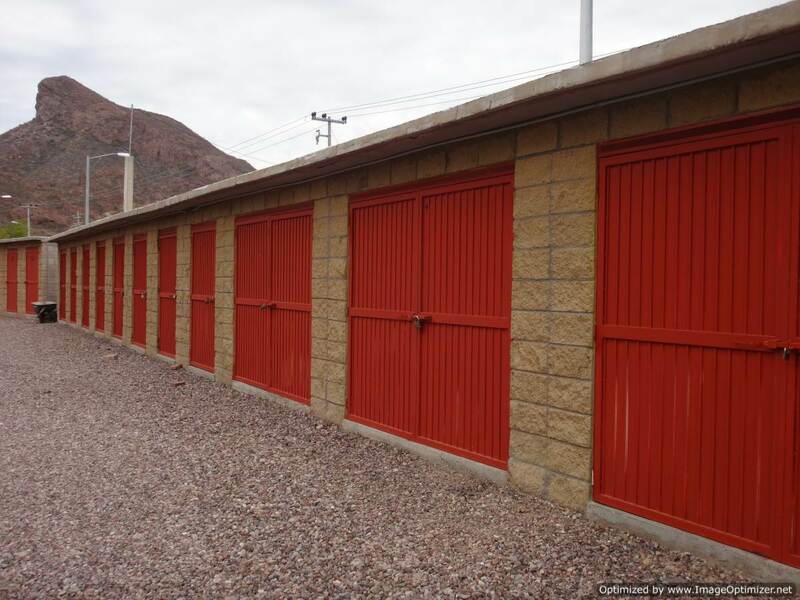 With over 4,500 square meters of well-maintained storage space, Bahia Storage is the premier choice for self storage in San Carlos. We are dedicated to providing customers with a safe and pleasant self storage experience using the utmost honesty, professionalism and fairness. 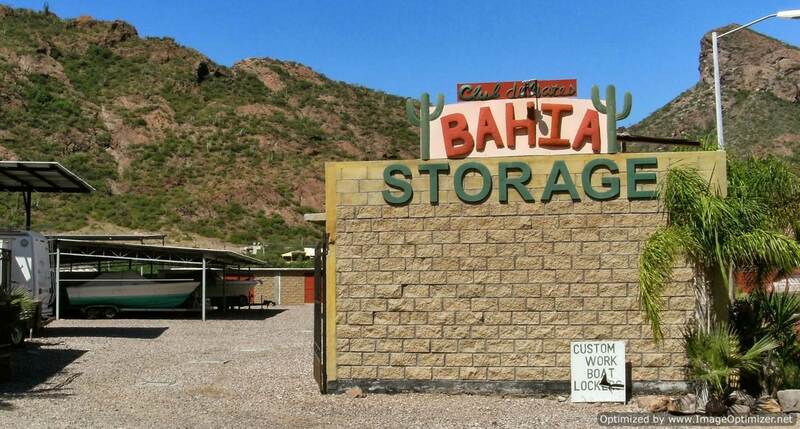 Our one goal is to make sure you are satisfied with your decision to store at Bahia Storage. 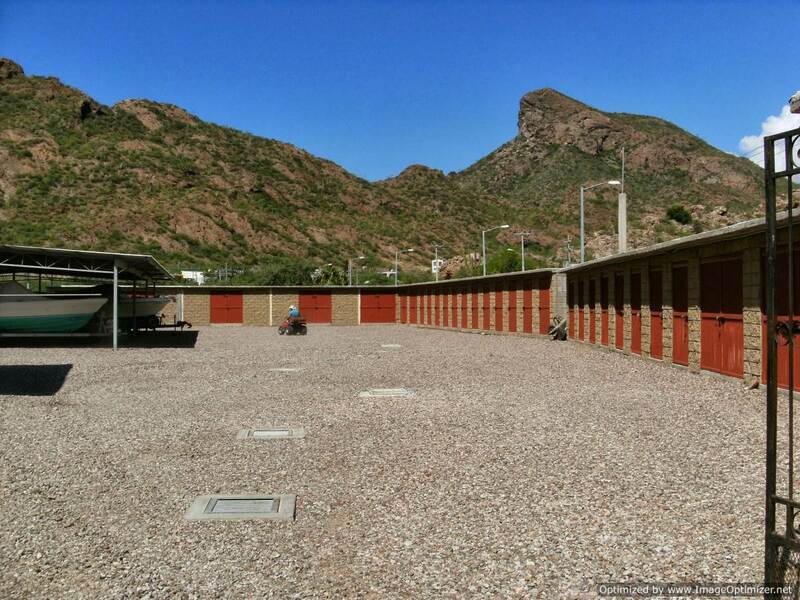 We achieve this goal by offering a full suite of services and amenities to serve your storage needs: from the ground up, our state-of-the-art self storage facility offers security-controlled gate access, motion-sensitive lighting and 24 hour camera monitoring. We go to great lengths to ensure the safety and security of your belongings so you feel peace of mind when storing with us. Our professionally trained managers will provide you with a flexible, cost effective solution to manage your self storage, business storage or automobile storage needs. 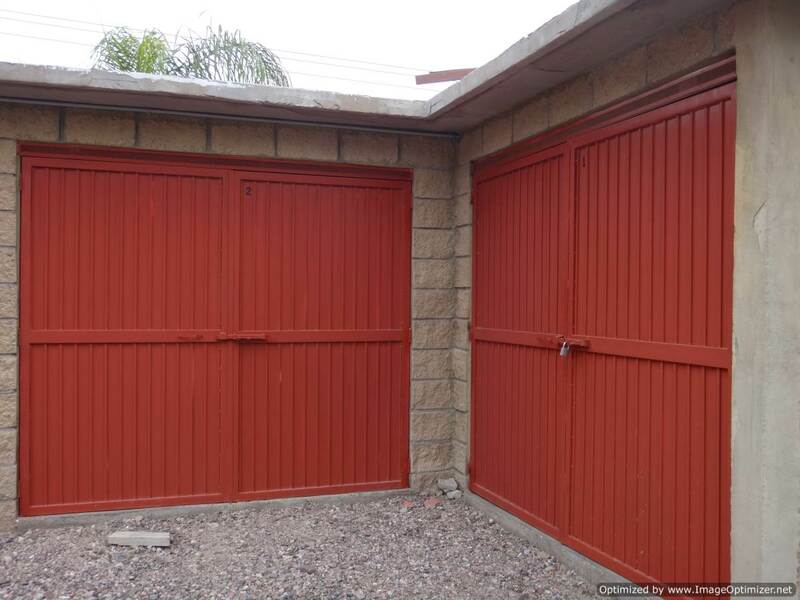 Call or visit us today to see the Bahia Storage difference. Office Hours: Monday to Friday from 8:00am to 5:00pm, on Saturday from 8:00am to 2:00pm and on Sunday, it is by appointment only. Contact Paulo Delgado for information. hola bt. me interesa guardar con Ustedes mi bote de 20″ bajo techo y tener la disponibilidad de pasar por el bote en fin de semana desde temprano entre 6 y 7 am ya el domingo regresarlo con ustedes después del mediodía. Cuanto me cuesta al mes y sí lo rentan por mes ya que solo uso el bote en verano serían unos 3 meses. así mismo contemplan dentro del precio de renta el usar agua potable para el aseo del bote por parte mía. Please send via email a list of your storage rates. I like that there are options for secure, covered storage for your boats, like this. I am often worried that it will get stolen while sitting at my home. I have been looking into boat self storage to ease my conscience.